This page contains a list of adapters that are compatible with OBD Fusion and TouchScan and some guidance on which one to choose. This list is not comprehensive, and there are many additional compatible adapters that are not listed here. We will continue to update the list of adapters as we evaluate new and existing adapters that are on the market. When choosing an adapter, you must consider the following things: the platform you plan to use, such as iOS, Android, or Windows; the type of adapter, such as Bluetooth or Wi-Fi; and the features supported by the adapter, such as MS-CAN, size, and upgradeability. The adapter type depends on the platform you are using. For example, if you are using an iPhone or iPad, you will be limited to Wi-Fi or Bluetooth LE adapters. In general, we recommend Bluetooth LE for iOS, Bluetooth for Android, and USB for Windows. However, you will need to consider your specific requirements before you make a decision. OBDLink MX+ is the latest OBDLink adapter that is designed to work with iOS, Android, and Windows. It includes MS-CAN support, which is required to access body control modules on most Ford and Mazda vehicles when using an enhanced diagnostics. 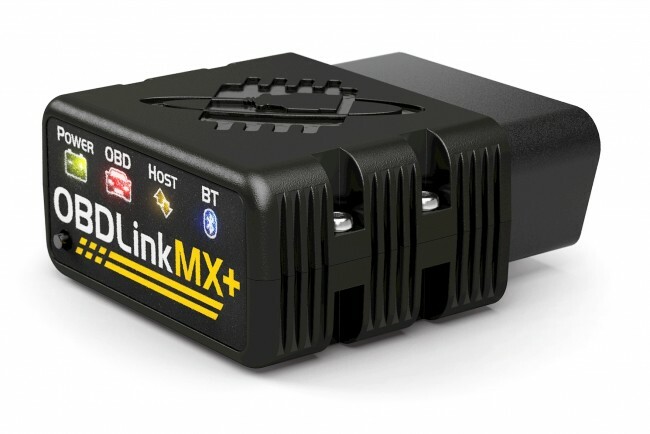 OBDLink MX+ is a great choice if you're looking for a reliable, fast, and secure adapter. It includes all of the features of OBDLink MX, plus iOS support and updated hardware. The Veepeak OBDCheck BLE adapter is one of Veepeak's newest adapters that is compatible with iOS and works with a variety of third party apps including OBD Fusion. Veepeak is a reputable company that is easy to deal with and supports its customers well. They sell various other Bluetooth and Wi-Fi capable adapters, so make sure you are purchasing the BLE version if you are using an iPhone or iPad. This adapter supports all legislative OBD2 protocols but not manufacturer specific protocols such as MS-CAN. This shape of this adapter makes it easy to plug and unplug from your vehicle. Use promo code OBDFUS20 for a discount on your purchase of this adapter on Amazon. OBDLink MX is designed to work with Android and Windows. It includes MS-CAN support, which is required to access body control modules on most Ford and Mazda vehicles when using an enhanced diagnostics. 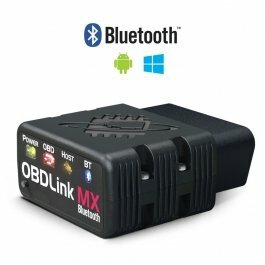 OBDLink MX is a very reliable adapter and a popular choice for Android and Windows. It features upgradeable firmware, secure Bluetooth pairing via a push button, and excellent power save features. In addition, it includes MS-CAN hardware allowing you to access MS-CAN networks with our Ford and Mazda enhanced diagnostic packages. OBDLink MX is not compatible with iOS devices such as the iPhone or iPad. The Tonwon Pro BLE 4.0 adapter uses Bluetooth LE and is compatible with iOS. This adapter includes an auto sleep function allowing you to leave it plugged into vehicle while not in use. The Tonwon Pro BLE 4.0 adapter has been very reliable in our testing. It supports all legislative OBD2 protocols, and as with other generic adapters, does not support any manufacturer specific protocols. If you are planning on using this adapter with an iPhone/iPad, make sure you get the BLE version. Tonwon makes another Bluetooth 3.0 version that is only compatible with Android. OBDLink LX is designed to work with Android and Windows. OBDLink LX is a lower cost alternative to OBDLink MX because it doesn't include support for MS-CAN or SW-CAN. We recommend OBDLink LX as our top choice for Android users who will not be using enhanced diagnostics on Ford or Mazda vehicles. Just like OBDLink MX, it features upgradeable firmware, secure Bluetooth pairing via a push button, and excellent power save features. OBDLink LX is not compatible with iOS devices such as the iPhone or iPad. LELink was one of the first Bluetooth LE adapters supported by OBD Fusion for iOS. LELink has a very small footprint, and works with a variety of third party apps. 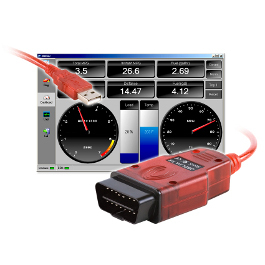 LELink is a good choice if you have space constraints when plugging into your OBD2 port. This adapter supports all legislated OBD2 protocols, but we have seen problems when connecting to vehicles using the J1850 protocol. If you have an older GM or Ford vehicle, you could experience connection issues. 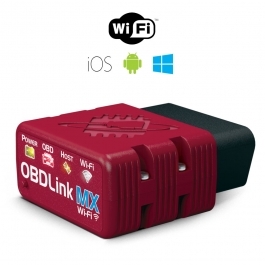 OBDLink MX Wi-Fi is designed to work with iOS, Android, and Windows. It includes MS-CAN support, which is required to access body control modules on most Ford and Mazda vehicles when using an enhanced diagnostics. OBDLink MX Wi-Fi is faster than most ELM327 Wi-Fi adapters on the market and also has upgradable firmware. We recommend OBDLink MX Wi-Fi when you want the fastest update rates possible or if you are planning to use Ford or Mazda enhanced diagnostics. OBDLink products are manufactured by ScanTool.net and come with a very good warranty, providing piece of mind for your investment. 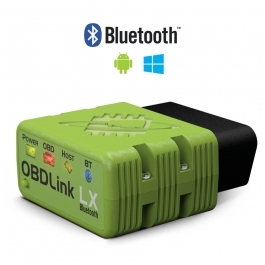 OBDLink SX is a USB adapter that works with Windows and Android devices. OBDLink SX is fast, reliable, and has upgradeable firmware. OBDLink SX is our recommended USB adapter for Windows. Setup on Windows is super easy - just plug into the USB port, install the drivers, and you are ready to connect. OBDLink SX does work with Android as long as your Android device supports USB host mode. OBDLink SX supports all legislated OBD2 protocols but does not support additional manufacturer specific protocols. The Kiwi 3 adapter is manufactured by PLX and uses Bluetooth LE. Kiwi 3 is compatible with third party apps on both iOS and Android. Kiwi 3 is a reliable adapter made by a reputable company. However, it very expensive compared to other Bluetooth LE adapters on the market, making it hard to justify given the limited set of additional features. The Veepeak Bluetooth adapter is a very affordable option for Android or Windows. If you're just getting started with OBD2 or you plan on occasionally reading data from your vehicle, the Veepeak Bluetooth adapter could be a good option since it's very inexpensive. We don't recommend it for professional or heavy use because the Bluetooth module in this device can cause reliability issues. This adapter is not compatible with iOS. The Veepeak Wi-Fi adapter is an affordable adapter compatible with iOS and Android devices. Although this adapter is compatible with both iOS and Android, we recommend using a Bluetooth adapter on Android. This adapter works with the legislated OBD2 protocols and is only recommended if you plan on using generic OBD2 (not enhanced diagnostics). The BAFX Wi-Fi adapter is compatible with iOS, Windows, and Android. We only recommend using the Wi-Fi version of this adapter if you are using iOS. BAFX has a Bluetooth version that is better suited for Android or Windows devices. This adapter provides similar features to other generic ELM327 adapters on the market. It's a little bigger than many of the newer ELM adapters on the market, so make sure you have room in your vehicle before purchasing.